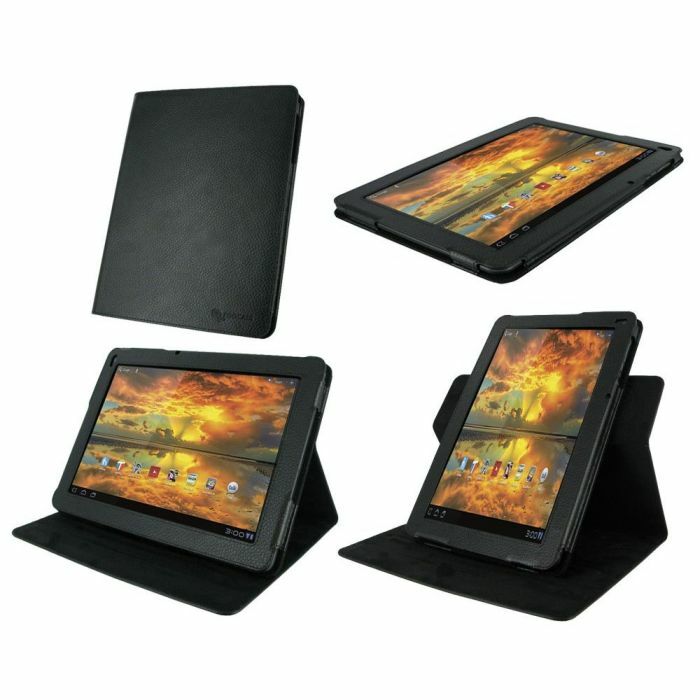 ual-View Multi Angle Case for Motorola XOOM FAMILY Edition Tablet (XOOM Not Included) (NOT Compatible with XOOM and XOOM 2); Genuine Leather with Micro Suede Interior; Detachable Inner Sleeve for Handheld Operation; Sleeve Reattaches to Folio by Velcro for Landscape or Portrait viewing; 3 Grooves for Multi-Angle Viewing . Magnetic Flap Closure. Access to All Ports and Controls.